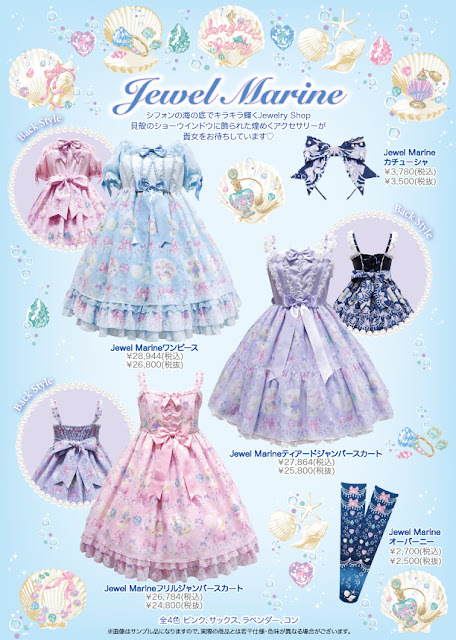 Angelic Pretty just recently released Jewel Marine, I love that its not a boarder print because it allows them to make much more interesting cuts. 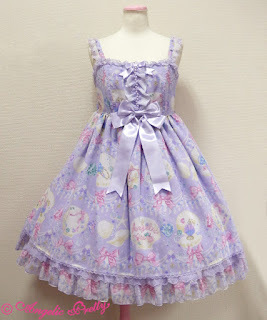 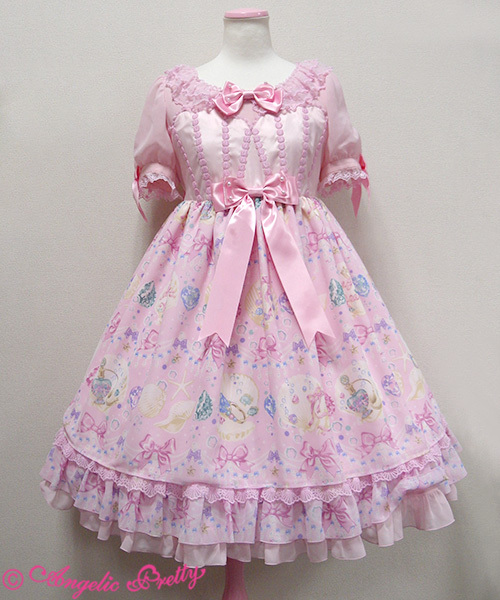 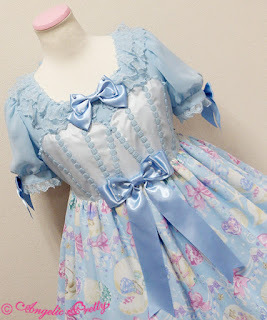 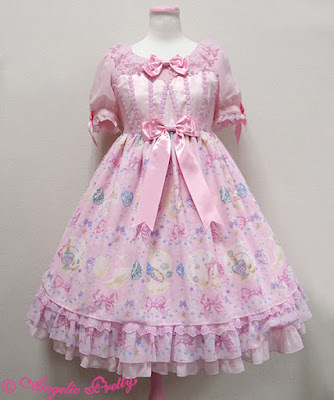 Even though I much prefer to have jsk's I must say that the OP is the prettiest cut of this dress. 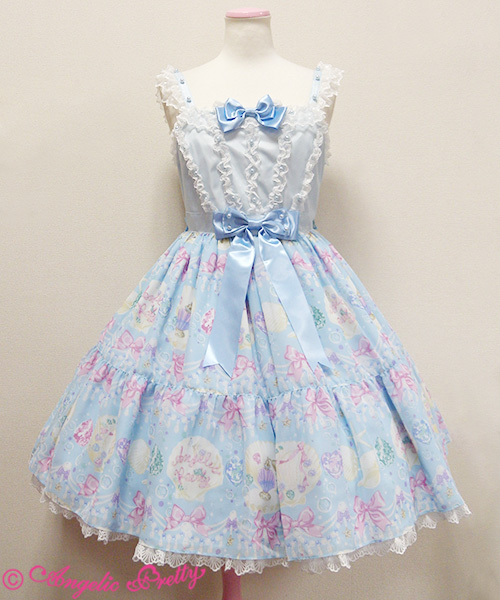 With the jsk one has the pretty shell like bodice part and the other has the pretty frilly bottom. The OP kinda gives you both and even better made! Since it is a marine theme dress I would probably go with the light blue because of the theme coording possibilities. 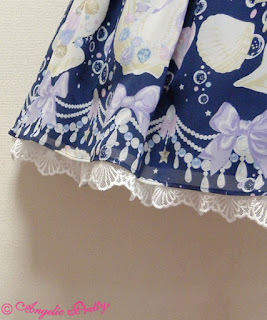 I don't really like the navy one, but I dislike dark colorways with super light prints. I can't wait to see people coord this, too bad they probably wont get it home by the under the sea event.